Hi, my name Liyana Aris and I'm a Modest Personal Style Blogger based in Malaysia. I'm also a former contributor to Yahoo! Style UK as part of their Yahoo! Blogger Network Program. Here on Affordorable, you can find the journal of my evolving modest personal style which is based on the art of looking casually stylish while still remaining modest and doing it all on a budget. Lately, it has become important for me to make thoughtful purchases that I would wear for a long time + many times instead of them being just the "flavour of the moment". I also strongly believe in "shopping" from my own closet; I take it as a challenge to re-wear my favourite pieces over and over again in a fresh way every single time. 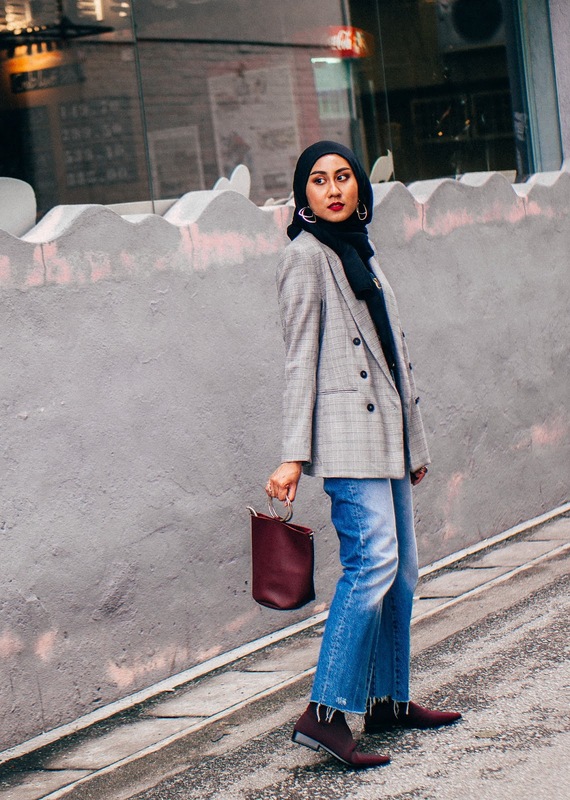 The goal here is not to to make you wear exactly what I'm wearing but merely to provide style inspirations — for hijabis and non-hijabis alike. I don't make it a mission to know about the stories of designer brands; I'm just someone who loves experimenting with style and playing dress-up with clothes. I blog about other topics as well, including the wonderful travels I've experienced and makeup + beauty. As for the latter, I find that as we age, it's less about experimenting with new products just for the heck of it (it was fun while it lasted, though) and more about searching for the right things that suit each of our own complexion. Hopefully, this little space of mine will inspire you, one way or another.